This is the comment from a blog post I made about Transylvania as a Grand Principality in 1600, when it was unified with the principalities of Wallachia and Moldavia. The comment is found here. I have, for the sake of this blog posted it here before I make my own comments about this. Below is part of the comment, and after the break, my own point of view. My own feelings aside, this is once again one of the many reasons I can tell that a person has not read the blog post. The particular blog post was about Michael the Brave and his involvement in the unification of the three principalities of Transylvania, Wallachia and Moldavia. 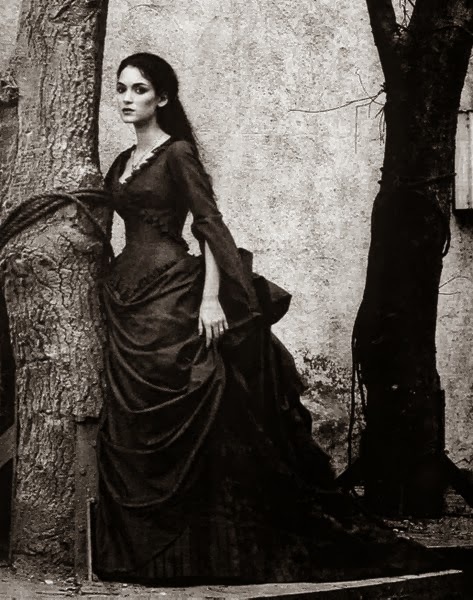 It has nothing to do with the people of Transylvania, but rather with one person. 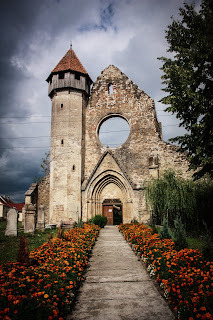 Transylvania, is a part of Romania, and many of the people there are culturally Romanians. In fact after the death of Michael the brave in 1601, it was Rudolf II Holy Roman Emperor who took the name Prince of Transylvania. There was administrative division within Transylvania, and this shows that there was power given to the Hungarians but, not the Romanians of the area. This is also because of political and religious reasons. Politics and Transylvania have a place in this blog, and they also have a place where the correct information needs to be shared. In this case, Transylvania was not a 'part and parcel' of the Kingdom of Hungary. At times Transylvania considered itself a part of the Ottoman Empire. Most of the population is either culturally or ethically Romanian. You have a great blog, I really appreciate it. Since I was so lucky to find it, as a native Transylvanian, I would like to bring some other information that you might find interesting. As a tour guide, I had the chance to meet Mr. Priest and Proffesor Doctor Vasile Oltean from The St. Nicholas' Church in Brasov. So if you want more info about Transylvania from good sources (certified documents etc.) he's the one to get in touch to. He is considered the greatest historian of Romania alive and the church he is priest at has the largest book patrimony from the XV-XVIII century. He also have documents from Transylvania from de VIIth century so I think you should find this useful for your projects. I don't have his email address right now, but I'll take a walk to the church and send it to you one of these days. There’s nothing more further from the truth, and I know this because I am a Romanian, I live here, I’ve studied here, I don’t know who wrote this article, but if you go to the roots of my people, you will find out that , “Transilvania” because this is how you spell it right in Romanian, was in the heart of The Kingdom of Dacia (Sarmisegetuza Regia its capital was on the territory called later Transilvania). After the two wars with the Roman Empire in 101- 102 AD 105- 106 AD, The Kingdom of Dacia was conquered by the Emperor Traian and thus the Romanian people was formed (this is the short version). After the roman legions withdrew in 271 AD, many tribes passed our territory, including the Huns on their way to the Panonnian Field in 896 AD. It is true that for a long period of time Transilvania belonged to the Austria-Hungarian Empire, because it was conquered in 1003 by king Stephan the I, but we gained our independence in 1600 under Mihai Viteazul, but it was for a short period of time. Later, as Austria-Hungary disintegrated at the end of World War I, the nationalities living there, proclaimed their independence from the empire. 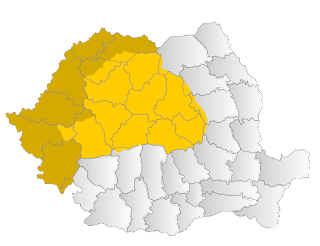 The 1228-member National Assembly of Romanians of Transylvania and Hungary, headed by leaders of Transylvania's Romanian National Party and Social Democratic Party, passed a resolution calling for unification of all Romanians in a single state on 1 December in Alba Iulia. This was approved by the National Council of the Germans from Transylvania and the Council of the Danube Swabians from the Banat, on 15 December in Mediaş. In response, the Hungarian General Assembly of Cluj reaffirmed the loyalty of Hungarians from Transylvania to Hungary on December 22, 1918. (See also: Union of Transylvania with Romania) The Treaty of Versailles placed Transylvania under the sovereignty of Romania, an ally of the Triple Entente, and the Treaty of St. Germain (1919) and the Treaty of Trianon (signed in June 1920) further elaborated the status of Transylvania and defined the new border between the states of Hungary and Romania. King Ferdinand I of Romania and Queen Maria of Romania were crowned at Alba Iulia in 1922 as King and Queen of all Romania. But to assume that for hundreds of years the territory was deserted, and that the Romanians who lived there just vanished or did not survived and nobody else took interest in it till 896 AD, when the Hungarian Tribes arrived is absurd. Who ever wrote that article has ever been to Romania to see for himself? How can anyone say that except for a few ruins, there are no signs of habitation before 896 AD? The Romanian people was formed way before the Hungarian one, the present territory of Romania is significanticat smaller then The Kingdom of Dacia (Transilvania included), that Traian conquered, the destiny of my people was more unfortunate then the one of other nations, but we were luckier then others. The conclusion is simple, Transilvania belongs to Romania, and this is how it always should have been. with google translate you can aknolege a lot of informasion. For respect of truth and our people plis do not make mistake. Everyone needs to remeber this was another persons's comments not my own.